“It is a fact that a student can graduate from this, the fourth largest law school in the United States, without ever having written a pleading, a contract, a will, a promissory note or a deed. It’s worse than that. It is a fact that most students graduate from this law school without ever having seen a real honest-to-God pleading, or contract, will, promissory note or deed. A student can graduate without ever having set foot in a courtroom and without ever having spoken to, or on behalf of, a person in need of advice or counsel. A student can graduate without once being exposed to the operation of the rules of court. It is a fact that such students and those similarly trained at most other schools do pass the bar exam and are certified as competent to render advice and to represent others in court. Whatever else may be said about this license issued by the state bar, let it be said that for these students and their clients it is a cruel hoax. 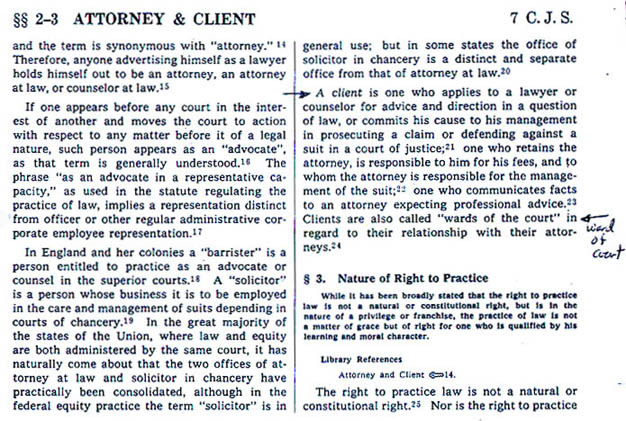 Law professors are not appalled by these facts mainly because they are products of the same type of education.” James R. Nielsen, My Turn: The Flaw in Our Law Schools, Newsweek, June 11, 1984 Newsweek, June 11, 1984. “…NOT TO THE CLIENT…” ! This entry was posted in Uncategorized on November 9, 2014 by 2012summerconference.